This book is an introduction to Islamic Philosophy, beginning with its Medieval inception, right through to its more contemporary incarnations. Using the language and conceptual apparatus of contemporary Anglo-American `Analytic' philosophy, this book represents a novel and creative attempt to rejuvenate Islamic Philosophy for a modern audience. It adopts a `rational reconstructive' approach to the history of philosophy by affording maximum hermeneutical priority to the strongest possible interpretation of a philosopher's arguments while also paying attention to the historical context in which they worked. The central canonical figures of Medieval Islamic Philosophy - al-Kindi, al-Farabi, Avicenna, al-Ghazali, Averroes - are presented chronologically along with an introduction to the central themes of Islamic theology and the Greek philosophical tradition they inherited. The book then briefly introduces what the author collectively refers to as the `Pre-Modern' figures including Suhrawardi, Mulla Sadra, and Ibn Taymiyyah, and presents all of these thinkers, along with their Medieval predecessors, as forerunners to the more modern incarnation of Islamic Philosophy: Political Islam. Illustrations note 2 Illustrations, color; 1 Illustrations, black and white; XV, 222 p. 3 illus., 2 illus. in color. This book is an introduction to Islamic Philosophy, beginning with its Medieval inception, right through to its more contemporary incarnations. 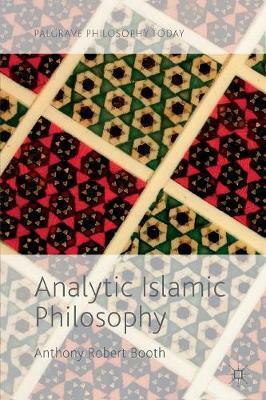 Using the language and conceptual apparatus of contemporary Anglo-American 'Analytic' philosophy, this book represents a novel and creative attempt to rejuvenate Islamic Philosophy for a modern audience. It adopts a 'rational reconstructive' approach to the history of philosophy by affording maximum hermeneutical priority to the strongest possible interpretation of a philosopher's arguments while also paying attention to the historical context in which they worked. The central canonical figures of Medieval Islamic Philosophy - al-Kindi, al-Farabi, Avicenna, al-Ghazali, Averroes - are presented chronologically along with an introduction to the central themes of Islamic theology and the Greek philosophical tradition they inherited. The book then briefly introduces what the author collectively refers to as the 'Pre-Modern' figures including Suhrawardi, Mulla Sadra, and Ibn Taymiyyah, and presents all of these thinkers, along with their Medieval predecessors, as forerunners to the more modern incarnation of Islamic Philosophy: Political Islam. Anthony Robert Booth is Senior Lecturer and Head of the Department of Philosophy at the University of Sussex, UK. He has worked mainly on the Ethics of Belief in both the Western and Islamic traditions. He has published articles appearing in such journals as Journal of Philosophy, European Journal of Philosophy, Philosophy and Phenomenological Research, and Synthese. He also recently published Islamic Philosophy and the Ethics of Belief (2016) and co-edited Intuitions (2014).